Meet Sean, the shoelace guy. I meet him last week. 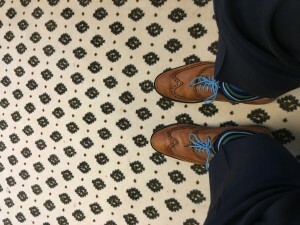 Sean, a nice, young, corporate guy dressed in the tidy requisite suit caught my attention. Not because of his smiling face but because of his shoelaces. 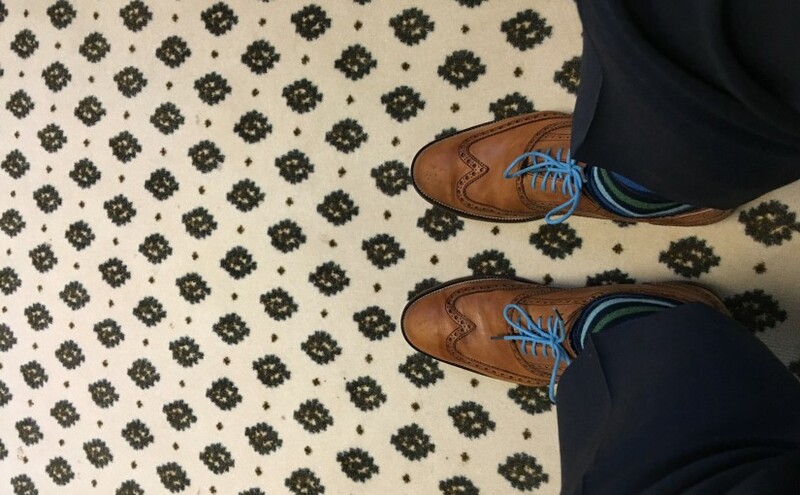 Yep, his perfectly polished brown dress shoes were adorned with lime green shoelaces. Hmmm, I’d never seen that before. Turns out Shoelace Sean, (who also sported very snazzy socks) has quite a shoelace collection and changes them out sometimes daily, depending on this mood or his attire. He thought it was funny that I was grilling him about his laces, but what I learned was that it wasn’t just about how his laces looked, the shoelace thing was also about how it made him feel. It made him feel good. 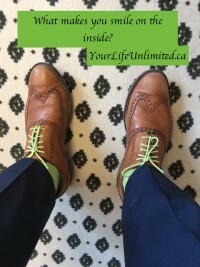 Every time he took the time to change out his laces – which as you could appreciate – would take a few minutes out of his already busy day, he would get a little positive buzz, a little feel-good charge. 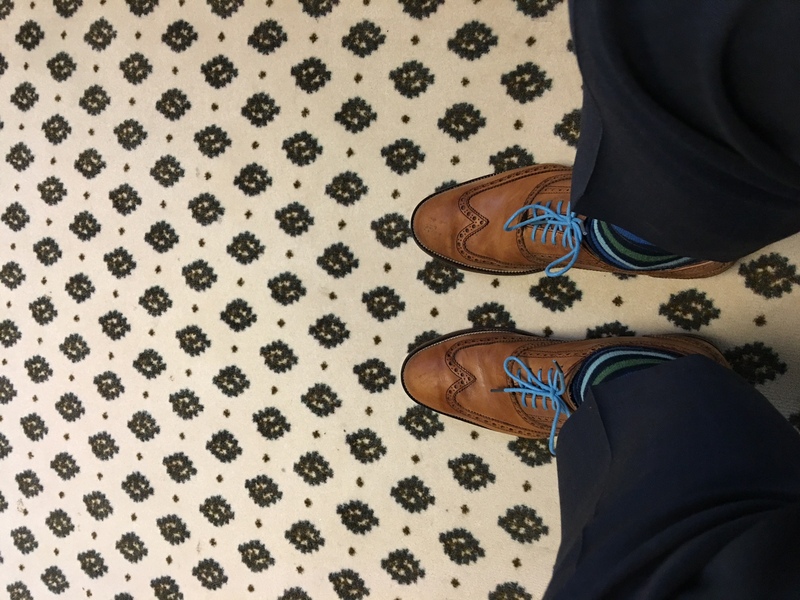 When he would glance down at his shoes or his laces would spark a conversation with someone who he might not have engaged with otherwise – it was a positive connection. So what’s your ‘shoelace’ – what do you do everyday that gives you a positive buzz, an opportunity to connect and converse and just plain makes you smile on the inside. Putting something in place so that you smile on the inside too, it’s just one more way to live Your Life, Unlimited! Comedian Big Daddy Tazz and the Unity Guy Barry Lewis Green have been contributing to making the world a better place for many decades now. At the same time, they have put themselves on the back burner, allowing their health to take a back seat to most everything else. This week on Your Life, Unlimited radio on CJOB, I challenged them to have a little ‘healthy lifestyle’ contest – listen in and hear the first in a series as we follow their journey to health in 2016! This entry was posted in Blog, Happiness, Health, Personal Growth, Positivity and tagged cjob, podcast, positvitiy, Stephanie Staples, Your Life Unlimited. Bookmark the permalink. Previous Previous post: Crazy, Busy, Nuts! Next Next post: That’s Enough.